This product contains 13 pages of mother's day activities. Mom & Grandma versions included. 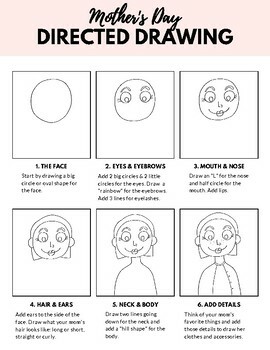 The students can follow simple instructions to draw a beautiful picture of their mom. 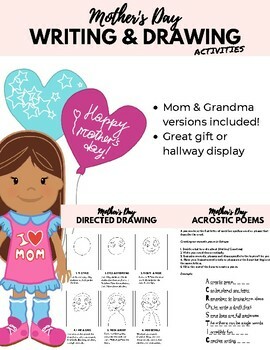 The drawing can be paired with the "All About Mom" writing or Acrostic Poem for a great gift for Mother's Day! They can paste their work on construction paper and laminate it for more durability. 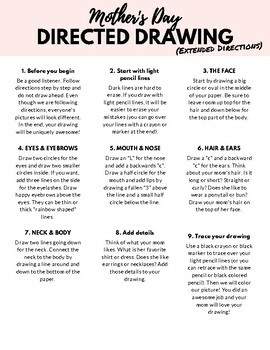 These activities are great to showcase on bulletin boards! I hope you and your students enjoy and happy mother's day to all you wonderful moms out there!